Due to inclement weather, the administration building will be opening at 9am on Monday, March 4th 2019. 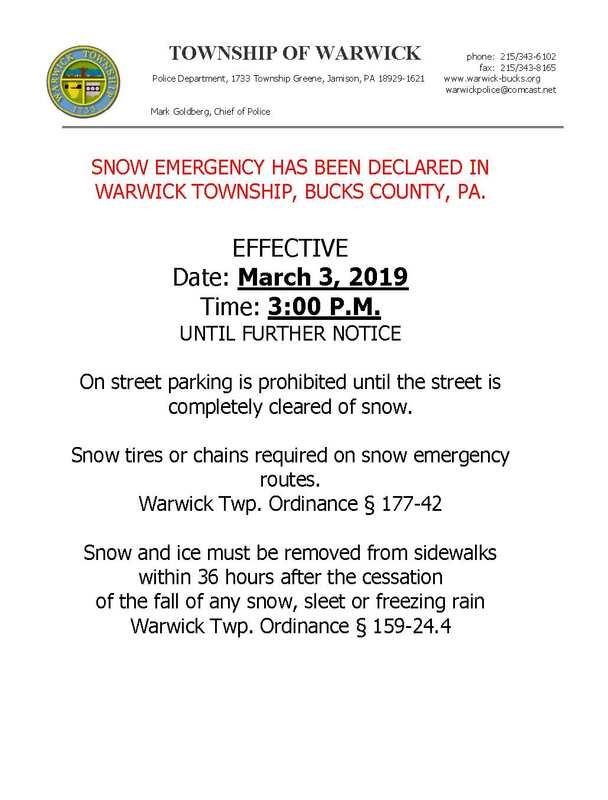 Due to the pending inclement weather, Warwick Township will be declaring a snow emergency starting at 3pm on March 3rd. 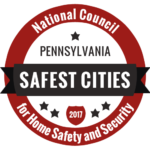 Please remove parked vehicles from roadways to help expedite the snow removal process. 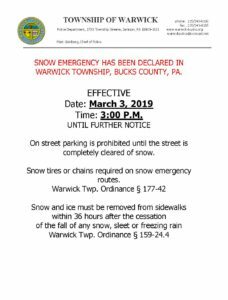 The snow emergency will expire at 11am on March 4th. 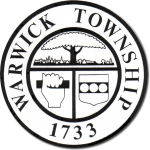 Warwick Township is again accepting Christmas trees for recycling in the parking lot behind the Public Works Building at 2045 Guinea Lane. Please drive to the back parking lot (entrance to the left of the building) and add your tree to the pile. We will be accepting trees 7 days a week through mid- February. Public Works employees will be delivering the trees to Warwick Green Grinders for mulching.